I’m bringing you all something a little different today! Carolyn from All Day I Dream About Food is here to share a gluten-free goodie. When I was asking for guest posts, Carolyn asked if I was okay with a low-carb recipe. I said yes! I love providing my readers with new ideas and recipes that they don’t usually see here. 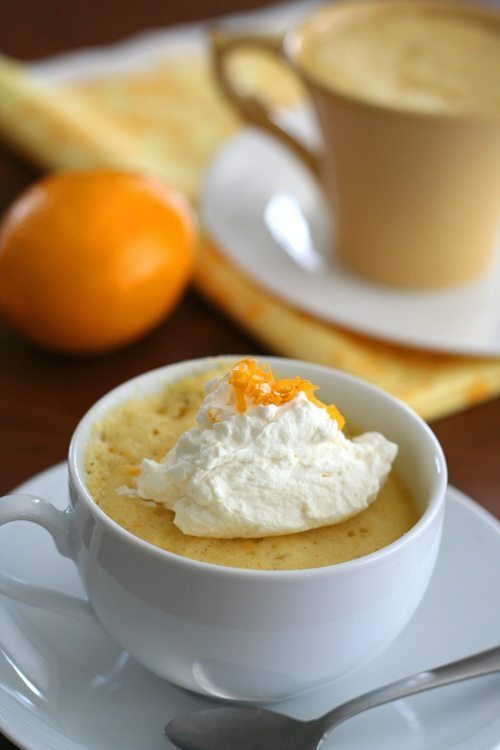 So whether you’re looking to change your lifestyle, planning to cook for someone else, or just wanting to try something new, I think this easy Meyer Lemon Mug Cake is the perfect place to start! Make sure to check out Carolyn’s site, you’ll find great things such as her Homemade Gummy Fruit Snacks, Low Carb Brownie Cheesecake, and Brie, Ham and Green Apple Panini. Hello, lovely Rachel Cooks fans. I have to confess, I wonder what you think, coming to Rachel’s blog and seeing a low carb, gluten-free recipe with a few odd-sounding ingredients. I always wonder, when someone asks me to guest post for them, what their readers will think of my recipes. Will they think Rachel is crazy for inviting me? Like, who is this chick and why does she think I want to even look at a low carb, gluten-free dessert recipe? Where are the yummy regular recipes for us normal readers!??! If you are thinking such a thing, I get it. I swear I do. But give me a few moments of your time, if you don’t mind, and I hope I can convince you that this dessert, along with many of my others, is worth a try. See, here’s the deal. I like to say that I didn’t choose the low carb lifestyle, it chose me. In the form of pre-diabetes, a somewhat shocking diagnosis for a petite, fit and healthy woman. Whatever, no use crying over the proverbial spilled milk. Although I did for bit. I did cry, because as a die-hard baker, I thought my baking days were over. The more research I did, the more I became convinced that I had to go low carb for my health and I thought that relegated me to bacon and eggs and lots of salad for the rest of my life. I love bacon and eggs and salad, but I also love cake and cookies and muffins and scones, like this lemon mug cake. I love food in general, and my blog is aptly named All Day I Dream About Food. Because I really do dream about it all day, and sometimes I dream about it at night too. Food rocks. Food makes the world go round. Food is community, heritage, love, family, friends, creativity and history, all bound up together in one little bite. Do I put a lot of expectations on my food? You bet I do! So you can imagine how crushed I was to discover I had to limit my carb intake, and hence my food options. On the flip side of that, you can imagine how delighted I was to discover that all was not lost, that there were so many wonderful options still available to me, with a little ingenuity. It’s astonishing what you can do with a bag of almond flour, a stick of butter, and a willingness to experiment. So, for those of you unfamiliar with low carb, gluten-free baking, I thought I’d go easy on you a bit and whip up a very simple recipe that you could easily recreate in your own home in about 10 minutes flat. Mug Cake is delightful in the fact that you throw some ingredients together, pop it in the microwave, and about a minute and half later, you have a tasty treat. 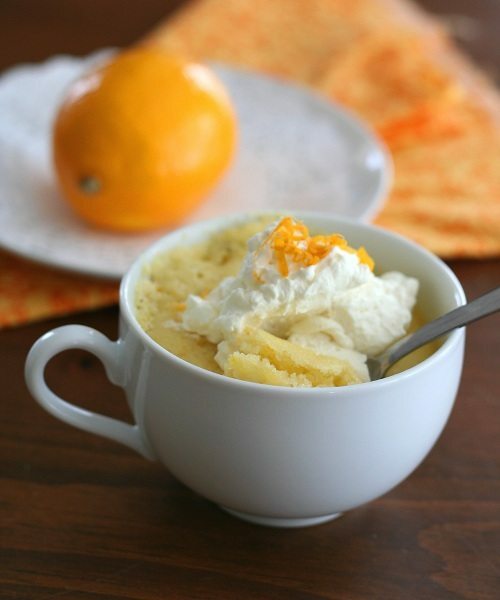 And Meyer Lemons give lemon mug cake a light, airy, spring-like feel. It’s not light and airy, though. This mug cake is rich and satisfying and a touch on the decadent side. And shockingly good for you! And the ingredients aren’t completely foreign, I promise. Almond flour is just finely-ground, blanched almonds (you can usually pick some up at your local grocery store) and erythritol, my favourite sweetener, is sold in most stores as ZSweet or Truvia. And it’s not some man-made chemical, in case you are leery of that. It’s actually a naturally-occurring substance found in fruits and other fermented foods. I hope I’ve convinced you to give me and my crazy low carb recipes a chance! 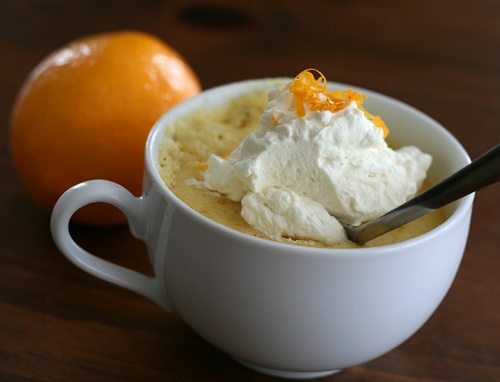 And many thanks to dear Rachel for having me over to share this Meyer Lemon Mug Cake. 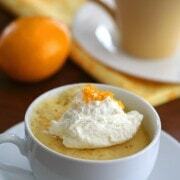 You’d never guess that this lemon mug cake was low carb and gluten-free! It’s 100% delicious. posted in Appetizers/Snacks, Cakes, etc. So simple, and so good! I used a mandarin, since I was out of lemons and what a treat! Thank you for a wonderfulLow carb recipe! So glad to hear that, Cheryl! Thanks for taking the time to come back and leave a comment! My favorite so far, and I am a chocolate girl, but this lemon one…. OMGOSH! So yummy! Yum! just made this & will keep a copy of this recipe to make it again (now that I’m watching my carbs) the 2nd one will be for breakfast, I offered it to my daughter but she wanted chocolate cake instead, good more for me :) I didn’t have lemon zest so, I added a little lemon flavoring. I didn’t have Truvia so, I used 4 tsp. of homemade mix of Trim Health Mama Sweet Blend a mix of Eyrthrol (I had put in blender to make it a finer powder) and then added stevia. Thank you for sharing this recipe! Thank you. New to this low carb , low- no sugar. And needed a treat. Easy easy and Good but I skimped on lemon and sugar subs next time will use entire lemon zest, juice and sweetener. So glad you liked it! Let me know what you think if you try it as written! Wow, wow, wow. Even if you’re not keto, this is a must! So happy to hear you liked this recipe! Thanks for taking the time to come back and leave a comment! This is awesome. I had a hankering for something lemony and this was perfect! It was quick and easy to whip up and served with some raspberries and a dollop of whipped cream just made it even that much better! Thanks for sharing such a great recipe! OMG!!! I’ve died and gone to heaven! First time I’ve tried Meyer Lemons. Wow! First time I had lemon cake that’s not sickly sweet. First time I cooked with Erythritol. I’d baked with stevia and didn’t like the flavour. TY! TY! TY! I added a tsp of poppy seeds and just can’t believe I now have such a great bake in 5 min-ish. It took me longer to set the mid-en-place than to make and bake!! Oops! That was ‘mis-en-place’! Autocorrect! So so happy you like this recipe! Thanks for taking the time to come back and leave your thoughts! Great recipe- worked perfectly for this low carb, gluten free girl. I served it with blackberries and whipped cream. My only complaint we that I wanted even more lemon (I’m a serious lemon-lover). A few days later I added a little lemon oil. Thank you!! I’m adding nutritional info for all recipes going forward but unfortunately I don’t have the time or manpower to go back and add them on over 1000 previous recipes on this free recipe site. I’d suggest using an online tool like MyFitnessPal and calculating them for yourself. OMG! I have been attempting gluten free mug cakes for two years without success. This one is absolutely delicious and will be my go to treat from now on! I mad this last night for the family. I would taste test the batter before squeezing all the leon juice. We had rather large meyer lemons I think. Mine were a little dense, and much like a lemon bar. Since they were very tart, I did sprinkle some powdered sugar on top. We don’t eat dairy, and I did have time to whip up a dairy free topping. That being said, I would try using monk fruit instead of erythritol for taste, and because sugar alcohols can upset the digestive system for many. Any ideas on making this lighter? I will definitely try another batch! Made this for a quick breakfast to lure my hubby back into the low carb world. I used a regular lemon I had on hand and added several blueberries to each and made a thin lemon glaze with powdered Swerve & lemon juice…it was amazing! So, I made two more to have on hand with tea tomorrow morning (or later this ). I accidentally used my 2/3 cup measure for the almond flour instead of the 3/4 cup. The cake was a bit crumbly but other than that it had a beautiful texture and was delicious! Great recipe! Just tried this for the first time – amazing!! I used a little less Truvia, zest from a whole regular lemon, and juice from a large half of lemon. I topped it with fresh strawberries, grapes, and blueberries mixed with some mint. Delish!! Thanks for sharing this recipe! Wow! I have just made and eaten this little cake with my daughter and it was amazing! I didn’t have any almond flour or erythritol, so substituted with a tablespoon or so of coconut flour and a teaspoon of sugar. We topped it off with strawberries, blueberries and whipped cream. It was so light and moist, and the lemon flavour of the cake was divine. Thank you! I whipped these cakes up, and they are delicious. I ate one with fresh whipped cream with a pinch of Stevia, and it was heaven. Thank you so much for lifting me up out of the doldrums of a low carb diet. Great recipe! How much sugar would you use? I can’t use any kind of sweeteners or substitutes, and I don’t know how erythritol compares to real sugar on sweetness. Can you give me an estimate on how much it would be in sugar? Great question! For this recipe, you can substitute with a 1 to 1 ratio – so use an equal amount of sugar. Hope you love the mug cake! Pingback: Marge Burkell – Life Give You Lemons? Make Low-Carb Recipes! I’m so confused about the calorie count. When I put the ingredients in SparkPeople (leaving out the lemon and baking powder, and adding in powdered sugar) I got almost 700 calories. Even if I used a sugar substitute, the calories would still be WAY higher than the other people got. Am I missing something??? Made these again for dessert when having my daughter and her husband for dinner. Knowing that she wouldn’t eat such a big dessert (she’s pregnant and has hyperemesis :(), I split the batter between 4 4-inch ramekins and microwaved two at a time for 1:30. Perfect! Served with whipped cream, they are the perfect size for a light dessert. The guys liked them too. They were also the perfect ending to a fabulous meal of Carolyn’s Deep Dish Pizza (which I had promised my son-in-law) and a spinach/arugula salad. Tried this tonight with a regular lemon (couldn’t find a meyer lemon) It is fantastic! Thanks so much for the recipe. I like it much more than the reg. old chocolate one… We are not much on chocolate! I prepared this today & it was great! I find most mug cakes to be dry yet this one is light & moist. Thank you! Can u do raw honey instead of truvia. It acts up with my arthritis. I just made this…actually squeezed a little additional juice over it (and cooked for only 1 minute) and it is tart and delicious! Thanks for the great recipes. You say “thin and fit” and yet you are prediabetic. It is possible you are not a type 2, but rather an LADA (latent autoimmune diabetes in adults). Have you been tested for GAD antibodies? Can you substitute truvia or Kal stevia for the 2 tbsp erythritol. Do you know how much? Thanks! Looks really good! I love this versatile recipe. Since 3/4 cup equals 12 tablespoons, I always have one of chia seeds, 4 of almond flour, some of flax meal, and tonight I tried adding potato flakes. It always is delicious. I never use the salt or baking powder. I’ve done lemon and lime. Tonight I subbed in 2ish tablespoons of maple syrup and added walnuts. I love that I can change it and as long as I follow the proportions of egg to dry to liquid it turns out. Also, I mix and cook it all in a soup mug and increase the time to 2 minutes. Again, thank you for a wonderfully versatile recipe. Just made it with lime. Added a personal size container if cream cheese. Got distracted and forgot salt and sweetener. Still delicious especially after adding a little maple syrup to the finished product. Thanks for a great recipe. I used coconut oil, 1 egg, 5 tbs almond flour, 2 tbs flax meal, 1 tbs chia seeds, a little Morton Half Salt, and 3 tbs of Meyer lemon jelly. Microwaved it for 2 minutes. Gorgeously delicious. I have limes, so that is my next adventure. 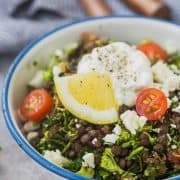 Just tried this, and it was delish, and I will definitely make it again & again! 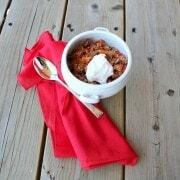 Thanks for another fantastic recipe for those of us eating and living gluten free! OMG!! Thank you so much. If I ever see you in person, I HAVE to hug you. I thought that I would never get to eat cake again. This is so good I almost cried! I tossed some poppy seeds into my second mug and I’m in heaven. Thanks again, this was EXCELLENT!!! I am so excited to find this post and recipe. Why? Well so far it has nothing to do with the recipe (although I will be trying that very soon). But I am just excited to read and hear the story and truth behind the author. I appreciate you putting to words how I feel about food and the power of it. I also appreciate you sharing your story and I trust that it will encourage and bless the readers just as much as it has blessed me! I didn’t have Meyer lemons so I made this yesterday with regular lemons and it was DELICIOUS!! I bought erythritol at Whole Foods a long while ago but didn’t really know what to do with it, so that was a bonus. I baked it in the toaster over @ 350 because I don’t really like nuking food. The texture is super nice, kind of like a spoonbread. Thank you. I love, love this recipe. I don’t think I’ve ever seen Meyer lemons in the local grocery stores. In Canada. Can I substitute a regular lemon? Also can I substitute Xylitol or Splenda for the erythritol ? I would find alternative sweeteners. Other than that, the recipe looks great! Has anyone subbed coconut oil for the butter? Pingback: First Week Back at the Gym | Getting better at life, one WOD at a time. Do you have a suggestion for a substitution on the almond flour? Food allergy! I used to love almonds…always stay away from anything that calls for almond flour because I’m not sure what to substitute it with, texture/flavor, this recipe looks too good to pass up though! Did you see the post by Taryl above? This is what she said..
Just made this and it was phenomenal! I subbed in 1/4 cup coconut flour and two additional eggs for the almond flour, as it was all I had on hand. I also added a little butter flavoring extract and some extra liquid sucralose to the batter, which made it sweeter and richer. But they were really small tweaks and the cake is quite possibly the best mug cake I’ve ever had! Per Serving (excluding unknown items): 146 Calories; 14g Fat (80.9% calories from fat); 4g Protein; 4g Carbohydrate; The recipe makes 2 muffins. This sounds delicious! Is there a way to eliminate the butter, or sub something else? This is BEAUTIFUL! And sounds so good! I’ll be trying this soon, that’s for sure. I just used a carb calculator on Spark People for this recipe. Net carbs = 9.2 carbs each if I calculated right. I just made these and they were fabulous! I don’t have erythritol on hand but used a mix of splenda/stevia and they had no artificial sugar taste at all (yippee). I am also curious about the net carbs. I might have missed it but what is the net carb count for one of these delicious mugs of goodness? This is a great recipe for a low carb/low sugar diet! I’ve been making a version with ground flaxseed instead of the almond flour. But I’ll give this one a try. 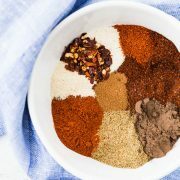 Yum this looks delicious – and it’s low carb and really easy to make, sounds perfect!! These looked irresistible. Except I don’t have any lemons. But I have LIMES! I’m happy to report they taste amazing with lime, especially if you drizzle some extra sweetener on top. Or a splash of sf vanilla Torani syrup! Meyer lemons make me swoon. That little cake looks delish! I have a 6 year old friend who just found out she has celiac disease and diabetes so this will be a great treat for her. I’m not usually a lemon person, but this looks amazing! And I am ALL about the low-carb…ever since doing a detox, I’ve found that my body doesn’t do too well with gluten. So thanks for a great recipe–can’t wait to try! Is there anything better than a Meyer lemon? I just love those when they’re in season. This looks simply divine. That looks really good! I love the ease and simplicity of mug cakes. Thank you for a sugar/wheat free dessert that makes me wanna bake right now!! Curious if you’ve tried baking these in the oven?! Temp? How long?? They look delicious, but I just love the way the oven warms the house up, and makes it smell SO so good!! In the oven, I’d do 350F and only bake for 10 minutes or so, then check and bake in 3 to 4 minute increments until done. It should be a little underdone in the center. Can you substitute erythritol for sugar, honey, agave? I am not one for artificial sweeteners. You can use sugar in the same amount as the erythritol. As an aside, erythritol is NOT artificial. It is found in fruits and fermented foods. It has to be processed out of them but it is no more processed than sugar from sugar cane. :) I do not use sucralose and other artificial sweeteners at all. lt “occurs naturally” just as MSG can occur naturally, but the version sold on shelves is not naturally derived. It is a sugar alcohol just like xylitol, sorbitol, etc and can cause nausea and gas. Xylitol, etc are also “occuring in nature”, but I don’t plan to ingest them. Truvia is made by Cargill, and that in itself makes me wary of it… and there simply isn’t enough data on the long-term safety of Truvia for humans, since it’s so new. I would rather wait a few decades for more data before using it. Hindsfeet, sugar is not without its dangers either. If you can eat it without health issues, fine, but for those of us who care about our glucose levels, things like erythritol and stevia are miracles. Raw Stevia has no sugar alcohol. PS. Don’t take any medicine or drink anything, your water is even processed. They just aren’t naturally derived. And no cheese! PPS.. It’s been around since 1848. No one died yet. Xylitol is naturally derived. It’s derived from birch bark or corn etc. It’s PROCESSED just as sugar, honey and agave syrup are processed. I love this idea so much but I don’t have a microwave. Do you have any idea if this can be done in an oven? It can be done in the oven, but I don’t quite know the times. I’d bake for 10 to 12 minutes, and then add time in 3 to 4 minute increments. It should be just a tiny bit “wet and gooey” still in the center when you take it out of the oven. Haha, lately we are on the same wavelength. Besides the brownie cheesecake you made recently which looked amazing, I have something similar to this lovely recipe space banked to try next – a cup cake made in a mug with frosting. Rachel, all the best with your little ones. It’s hectic and I can’t imagine how you can find time for your great blog! Find time for you where you can just relax and close your eyes – even if it is 10 minutes here or there. It does help. I used to lie down with baby on my chest after feeding him and give the toddler some toys next to me so that I could hear him playing….then just closed my eyes for a brief moment. When I made the food, I’d put baby in a snuggler and once again made sure the toddler was busy. It was actually easier for me with two than with my first one.